Penn Jillette, Teller, Caitlin Clarke et al. 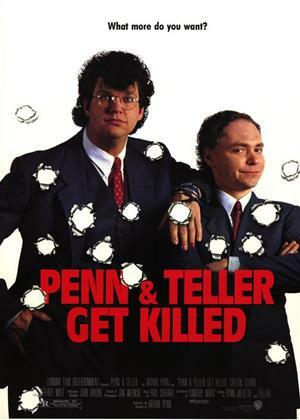 Penn and Teller enjoy playing jokes on each other. When Penn says on an interview show that he wishes he has someone threatening his life so that he "wouldn't sweat the small stuff", each of them begins a series of pranks on the other to suggest a real threat. Then they find that a real psychopath is interested in them.